This week has been quite productive after some weeks of enforced rest. I decided to take part in the Icad (Index card a day) challenge and will part in the Summer of Color. I hoped that it would help me refocus my art. It certainly has. I get up already planning my index card for the day and I have decided on my theme of SOC. I am illustrating a poem for Icad (See my post on that tomorrow.) I am using some of the prompts, but only so far as it suites my goals. Yesterday, I finally settled on a theme, it ties in with, my work for icad, whimsy ladies and text from the poem I am illustrating. I had brought some 8in x 10in canvas panels ready for SOC challenge. Today I got started and started to paint in acrylic, using my first index card for inspiration. It was fun. The words are from a poem I discovered earlier this week and it really spoke to me. One drawback of painting so small was that I had heaps of paint left over, as usual I had squeezed out too much, so I decided to finger paint over an old drawing in my journal. That was fun and very messy. Wonderful words and paintings, dear Sharon. Great Job! Those indexcards look great! and you're right:it's a wonderful poem! 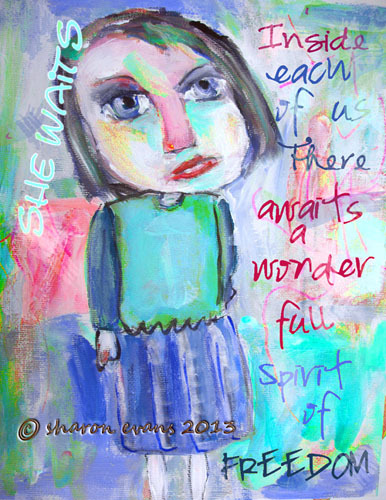 Lovely poem and paintings Sharon! 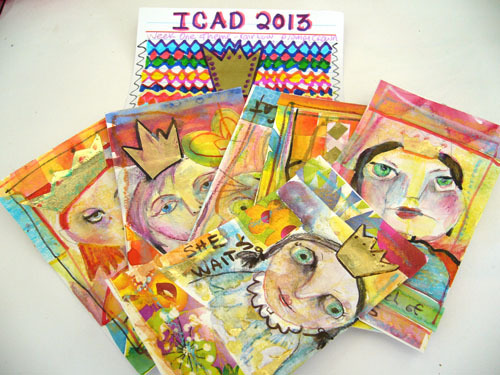 I'm doing ICAD too! Such fun in a tiny format. HPPF! Sharon, your SOC and your poem work well together. I love your index cards. The colors truly do remind me of summer. Love your poem and your images, just wonderful. HPPF! so much wonderful, colorful art here!! Love that poem too. lovely work this week! Beautiful poem too. 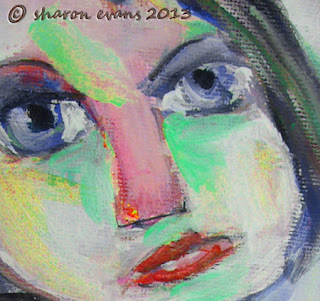 Sharon, I love the style of your paintings! They are all beautiful. I am glad, you feel better! I love the poem - there is a lot one can paint to it, and I see that you got to a great start. Creative way to get rid of your leftover paint, like the finger painting, it looks like a lot of fun! Oh how you have inspired me...I was so excited about icad, prepped piles of cards and then got frustrated....Maybe i'll give it a shot again!! Thank you these are gorgeous!! 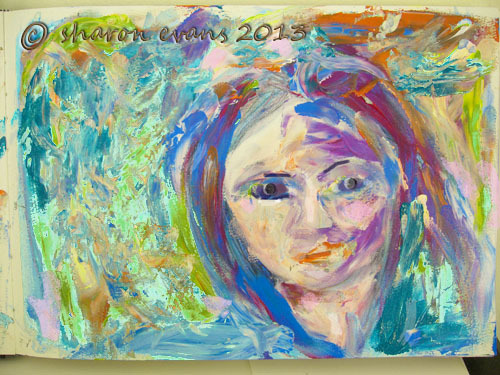 I love the finger painting and your other pieces as well! SOC sounds fun and I plan to join in this year too. Have a wonderful day! what a great poem and I love your paintings this week - the colours are gorgeous. I like that you didn't just waste the extra paint but did a wonderful finger painting with it instead! I'm glad you're back into the swing of art, and it certainly shows with the joy in your work. Blessings!